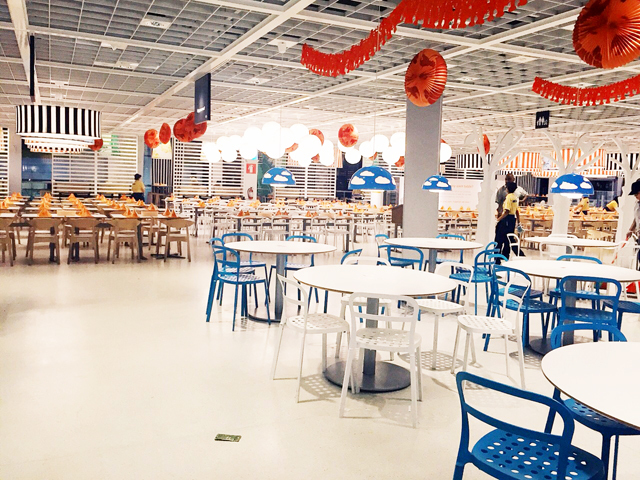 Awhile back, Jacelyn asked us on our group chat if we are keen to go for the Ikea Crayfish Party this year. I didn't know Ikea organized this last year! Did some research and learnt that it's a Swedish tradition and since it's only $20 per person, why not! Due to work I was slightly late! Fidelis was there early and took this shot of the decorations! Jacelyn and Nadia were there with their hubbies but me and Fidel were both dateless because our partners couldn't make it due to reservist! 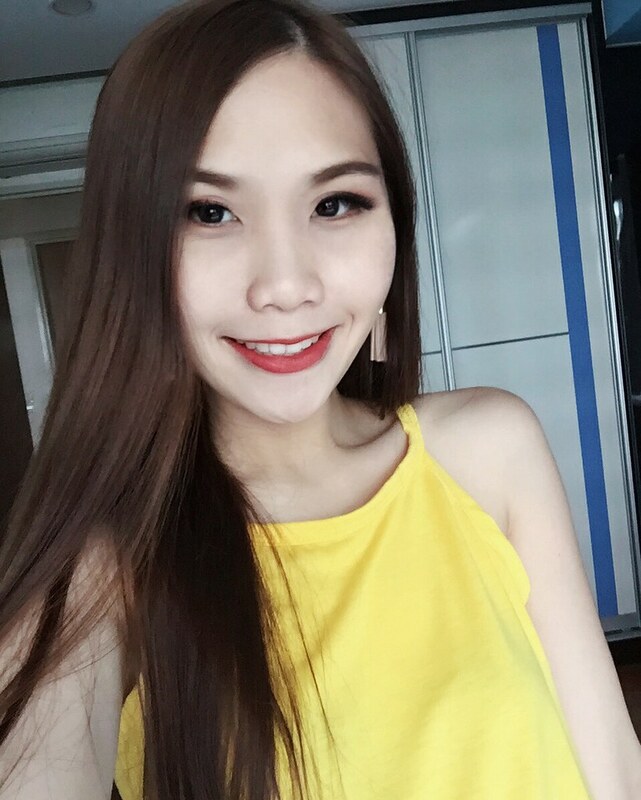 Actually my bf turned out to be free on the day itself but too bad lah no more space already because the tickets for this party was sold out in advance. By the time I reached, there was a long queue formed and the restaurant was almost filled up except for a number of empty tables. Maybe these people were caught up with work like me, or they totally forgot. Haha. Aiya wasted leh. So much orange! 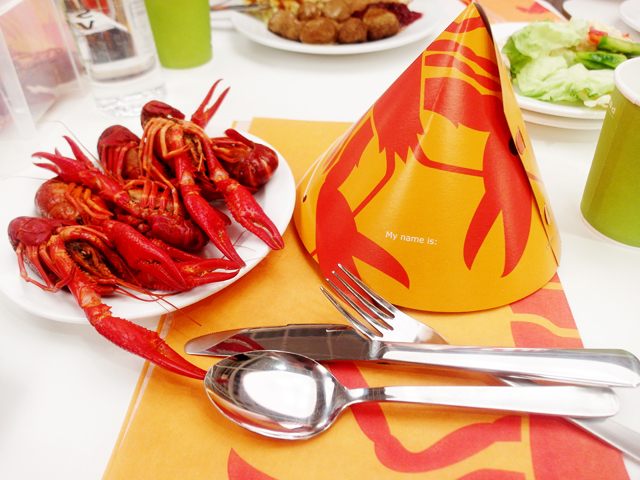 Paperhats were distributed to every diner as part of this Swedish Crayfish tradition too! But I didn't wear lah.... Hahaha. 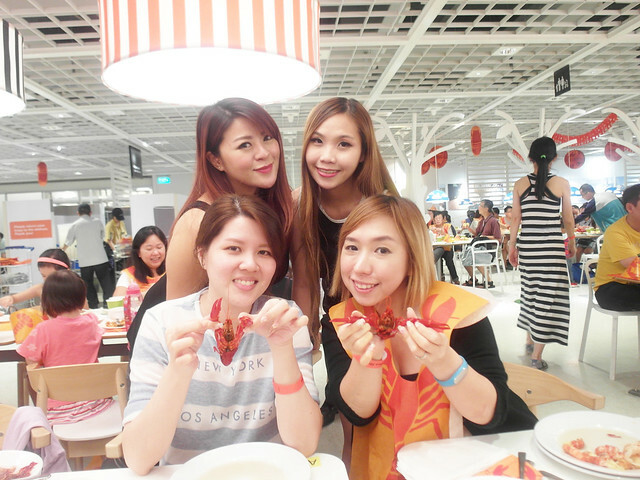 Only Nadia gamely wore the crayfish apron haha. Crayfish was yummy although I thought it was going to be another type of crayfish initially. My first type eating these red ones! 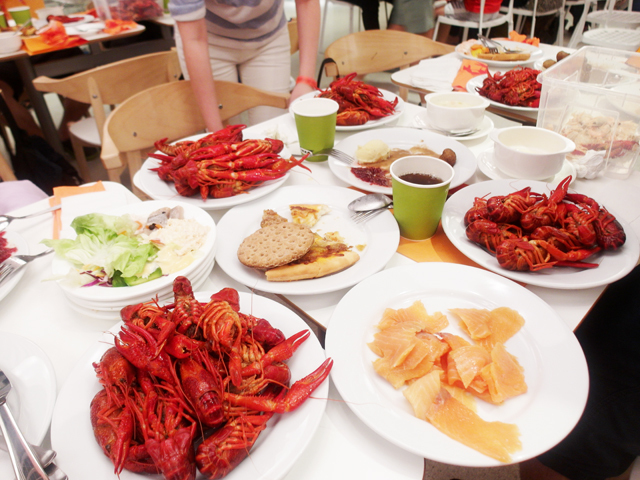 Ate two big plates of these crayfishes on my own plus a big portion of smoked salmon! We were looking out for the Ikea wings but there weren't any that day. Sad! Wah I craving for Crab Feast now! The Sri Lankan type!